Dispensationalism is perhaps best known for its distinctive doctrines of a “secret rapture” of the Church, a future “great Tribulation” over which will preside an evil world leader known as the “Antichrist,” and the rebuilding of the Jewish temple in Jerusalem along with the reinstitution of the Old Testament sacrificial system under a restored Levitical priesthood. However, the most pernicious errors of this system are not eschatological, but soteriological. As this book demonstrates, Dispensationalism, as popularized in the early 1900s by C.I. 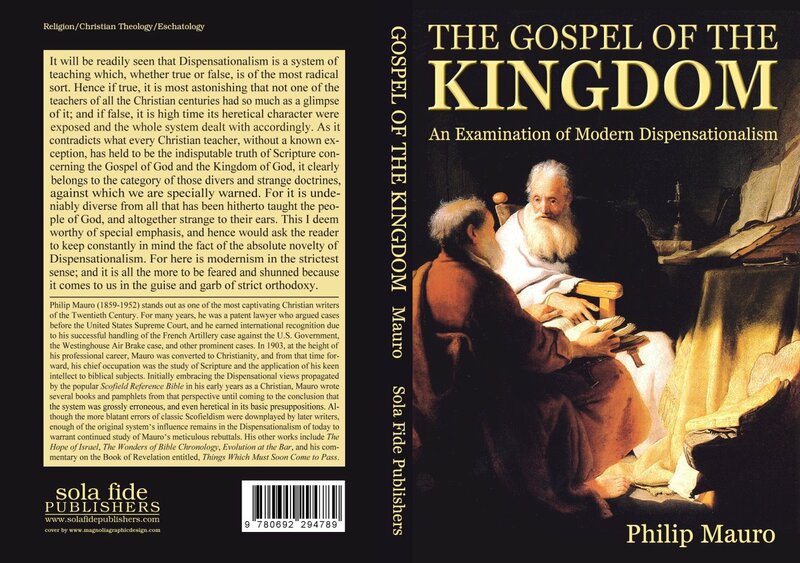 Scofield in his Reference Bible, and believed today by a large segment of the professing Evangelical Church in America, is a radical departure from the historic Christian understanding of the Kingdom and leads to an undermining of the biblical Gospel itself.